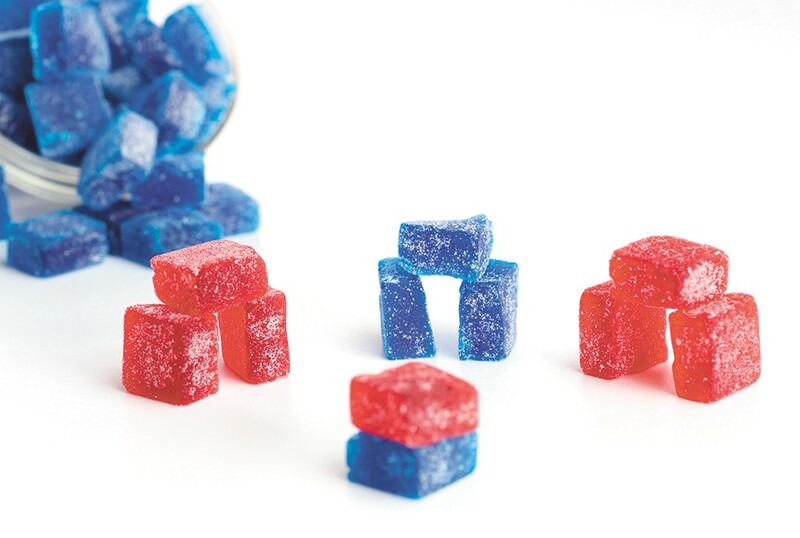 As the Washington regulation of candy edibles remains in flux, now is as good a time as ever for consumers to start engaging with some of the great sweets that are still found in shops. This last week was the first time I tried Magic Kitchen's Marmas, a chewy gummy that packs a wallop for 10 milligrams of THC and a recently released alternative of 1:1 CBD. The soft candy comes in an array of flavors like apple, raspberry, grape and watermelon. I landed on the 10 milligram Blue Raspberry flavor when I took a visit to downtown Spokane's Cinder. What is readily apparent when you try Marmas for the first time is the level of packaging and production that Magic Kitchen and other producers have gotten to. In the early stages of the industry, after the cannabis-legalizing Initiative-502 was passed, there was a level of amateurism in the packaging and consistency of many of the edibles that found their way to recreational shops. Now, customers know exactly what they're getting, which is a dialed-in product that rivals the taste of sweets that line the candy aisle of grocery stores. Five years ago when I'd grab a chocolate or baked good, I'd try to get past the pungent and loud taste of the cannabis in every bite. That poor taste is nowhere to be found. The individually wrapped candies have an ideal texture and consistency for a fruit chew, as their sugary outside hides a uniquely soft-gummy texture. The candy is definitely worth savoring while chewing and it avoids the notorious feeling of remnants gunked in your molars or caked onto and between your teeth. The first time indulging, it was clear that the Magic Kitchen candy excels at offering a warm, cozy high. A weekend of binge watching The Sopranos and going to the theater didn't require a good dosing of Marmas, but it sure didn't hurt. You can't help but melt when you properly dose and find that body high bliss. The original print version of this article was headlined "The Magic of Marmas"